What is that? A piece of furniture? A cupboard? Maybe a kitchen? You all are right! It's COOK.rar! 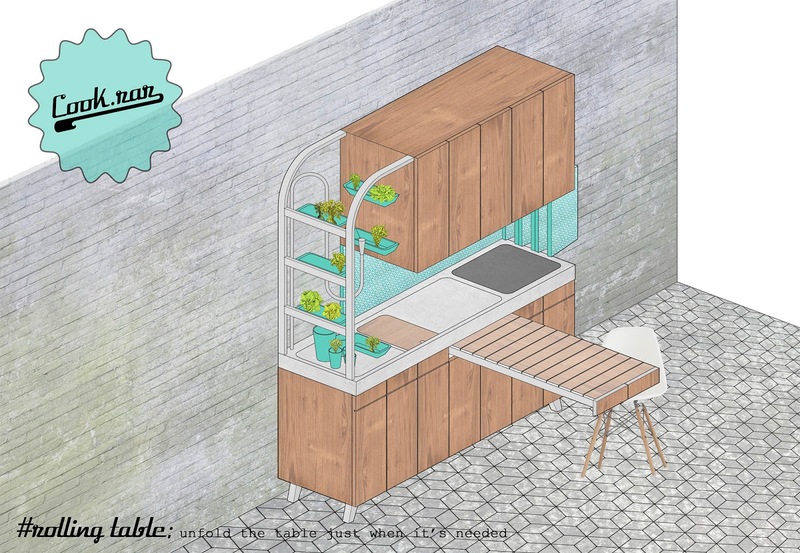 Cook.rar is a new concept of expandable micro-kitchen, an smart solution for those who don't have much space at their dwellings but don't want to renounce to a fully equipped cooking space. 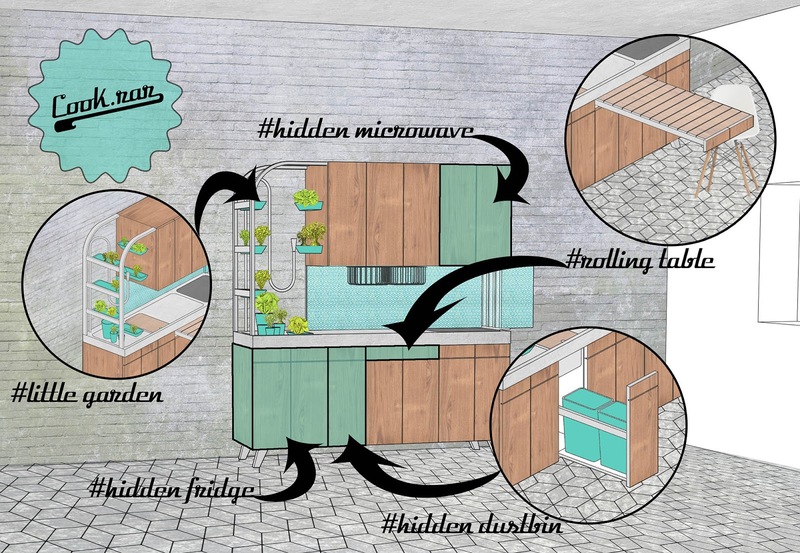 Behind the foldable tiled panel is hidden all you would need to cook, from the secret fridge to the covered oven or the electrical cooking surface. There is also a huge table that can be rolled inside, using it just when it's needed. 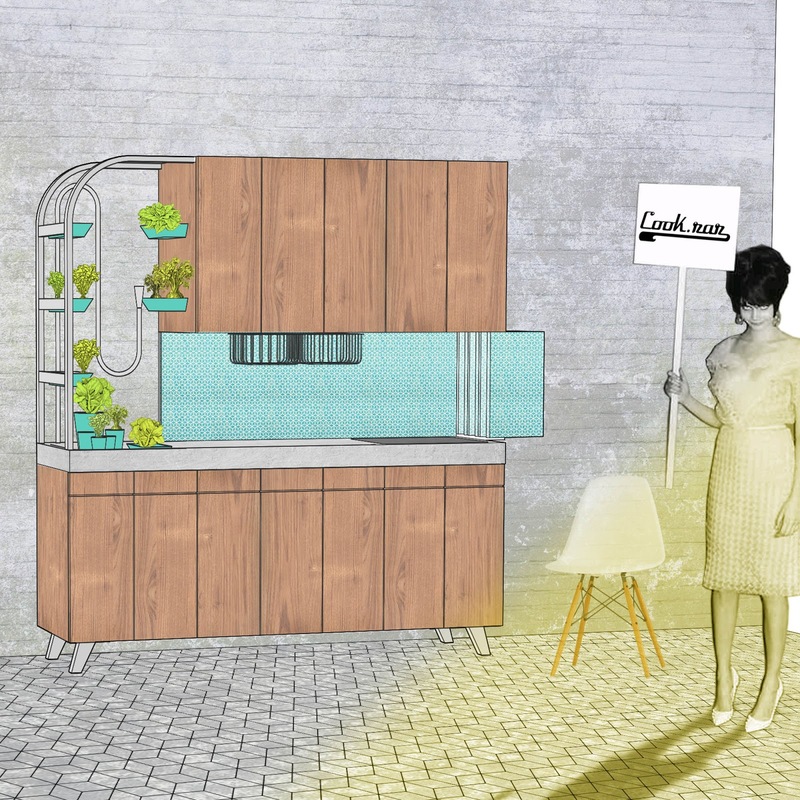 The hose-like tap allows you to water the incorporated garden, where it's possible to cultivate plants such as lettuce, parsley, oregano or mint. 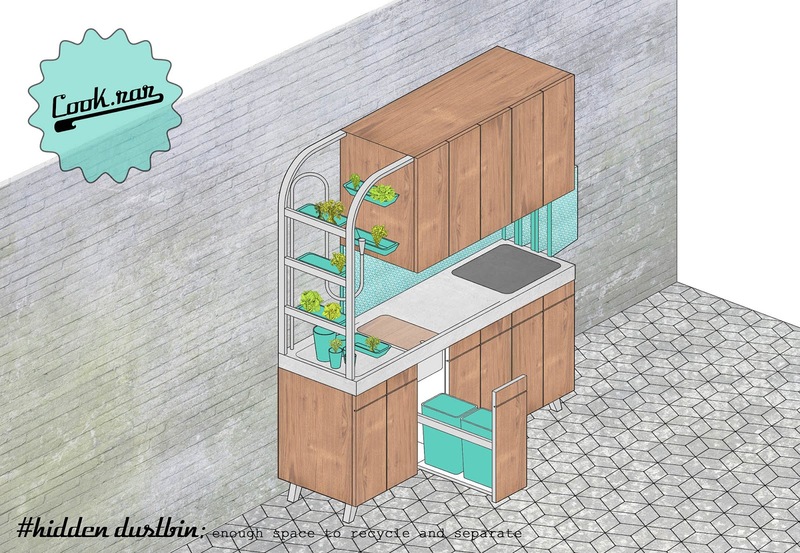 Cook.rar is a great solution if you need the whole funcionality of a huge kitchen in a tiny and well designed piece of furniture.